Today I have a wonderful guest blogger who will be sharing with you all a very yummy slow cooker (crock-pot) recipe. Please make her feel very welcome with warm comments. Who blogs over at Life With Garnish. She is a wife and mother to five (includes two sets of twins). She home schools her oldest son because of the extreme difficulty he was having in school. When they decided to pull him from school two years ago he barely knew his alphabet. Now he can read, spell, complete basic math problems, and tell time. She quit work as a Finance Manager in a non-profit organization to be able to focus on him. Going from a two income to a one income family has been a big adjustment and a lot of sacrifice for all of them. But they stuck with it because they love their Tyler. She started her blog a little of six months ago to give herself an outlet (some me time, if you will). She mostly shares with her audience inexpensive meals that are almost completely homemade. She also shares some homemade cleaning products that she likes to use. Last, but not least, she hosts a link party every Tuesday with her blogging buddy, Bobbi, from 3GLOL. 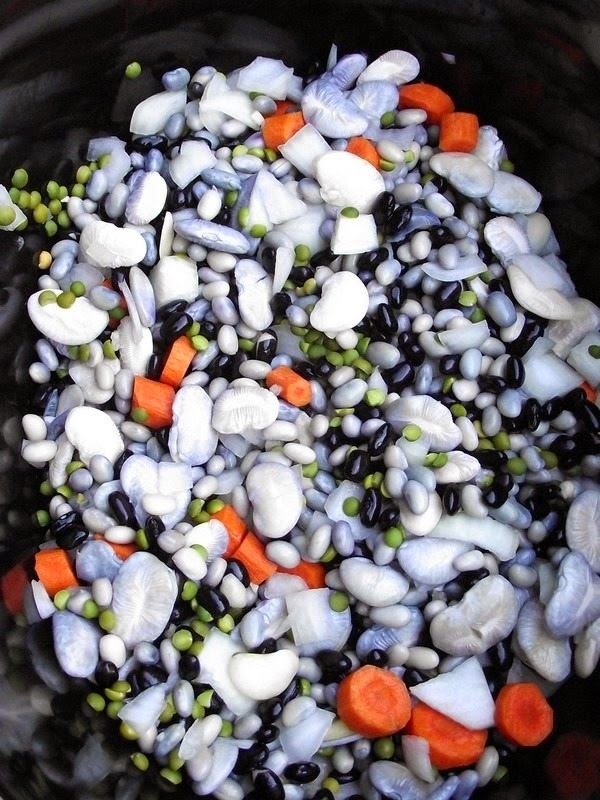 Place beans and 6 cups water in a large bowl or pan. Cover and let soak in the refrigerator overnight. In a 4 to 6 quart slow cooker combine onions, carrots, dry split peas, salt and pepper. Stir in drained beans and the remaining 6 cups of fresh water. Cover and cook on low heat for 8-10 hours or on high for 4-5 hours. The yummy delicious soup when done cooking. Looks yummy? I bet your mouth is watering right now. Check back next week for another great recipe within the Crock-Pot Series. 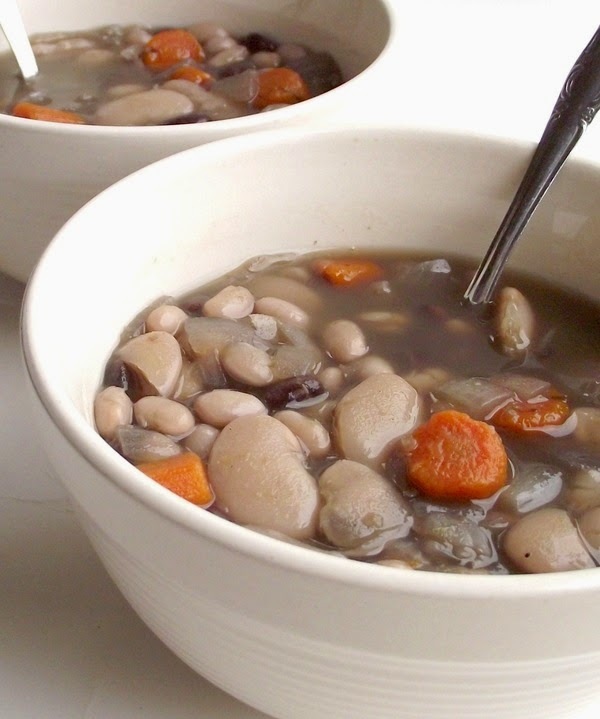 Thank you Adrian for sharing this mouth watering soup recipe with us.